Fucodian,algae sulphated fucan,is a unique marine active polusaccharide witch wxist in brown algae(Iaminaria Japonica etc. ).Which is ionic sulphated natural polysaccharide rarely exit in the nature.Flaxen powder,easily soluble in water.A lot of experiment and clinical study shows that the product has biological activities such as enhancing immunity,fighting afainst blood coagulation,reducing blood fat.Lowering blood pressure,inhibiting kidney failure,resist against tumor etc.. Applications： 1、Can be used as medicine natural active ingredient for curing tumor,heart and brain blood vessel disease as well as kidney malfunction etc. 2、Can be used to produce antioxidizing,blood fat reducing and immunity enhancing health foods. 3、Can be used in high grade of cosmetics due to its good humectant and nutritional characer. 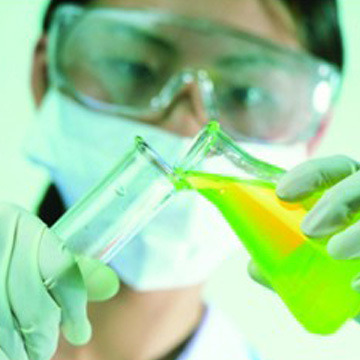 4、Can be used in agricultural industry.In regulating plant mechanism it has special function.